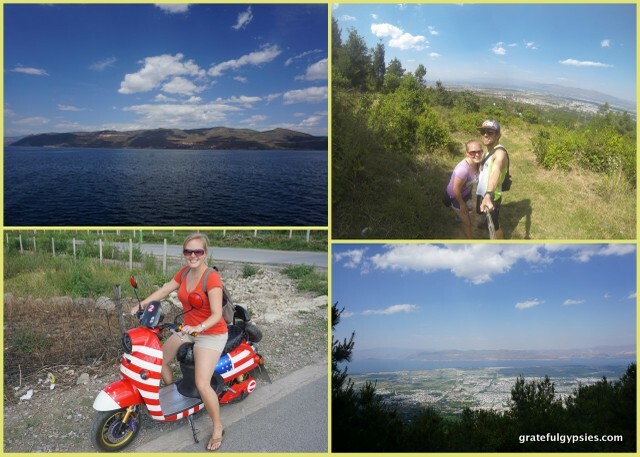 Before the rainy season hit, we jumped on the motorbike and did a loop around half of the island. 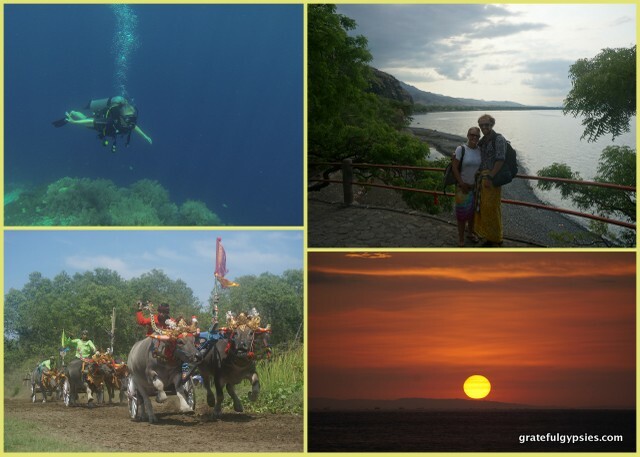 We got lost looking for a waterfall, took in a stunning sunset, saw the Makepung buffalo races, went diving at Menjangan island, visited a temple overrun with monkeys, and chilled on one of Bali’s quietest beaches. Not bad for a little weekend road-trip, eh? We flew solo a few times in 2015. Although we both get pretty bad FOMO when one of us travels alone, sometimes it has to happen. There were a few solo trips in China for each of us in 2015 that were actually quite fun. 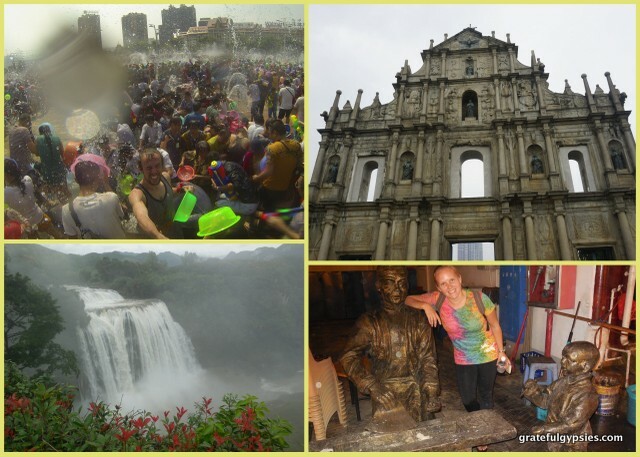 I got to visit friends in Shenzhen, check out Macau, and take part in the biggest water fight ever in Southern Yunnan, while Rachel joined some colleagues to see China’s biggest waterfall. We had a great time in Dali. The first week of May is a major holiday in China, and it’s quite a chaotic time to travel. Usually, we would avoid popular destinations such as Dali like the plague over major holidays, but we decided to take a chance and make our second trip there anyways. By staying in a village around Erhai Lake rather than in the old town, we were able to avoid the crowds for the most part and managed to have a really nice, relaxing holiday. 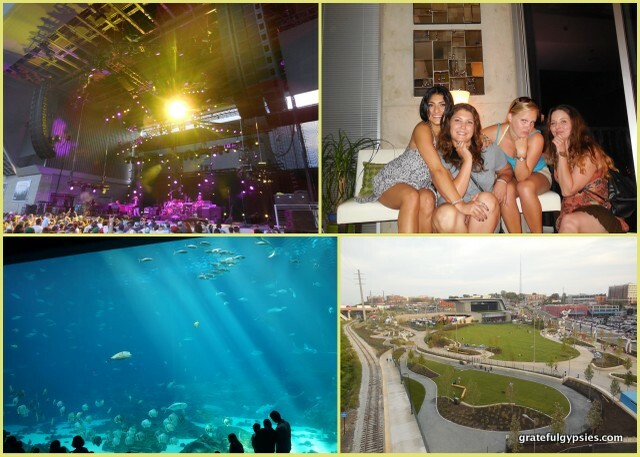 Looking at fish and Phish. 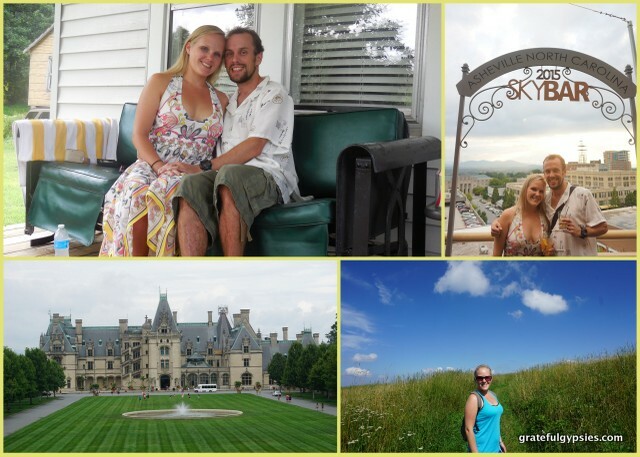 After a few years full of new travel experiences, it’s funny that the only new place for either of us in 2015 was Alabama – my first (and probably last) visit to the Yellowhammer State. 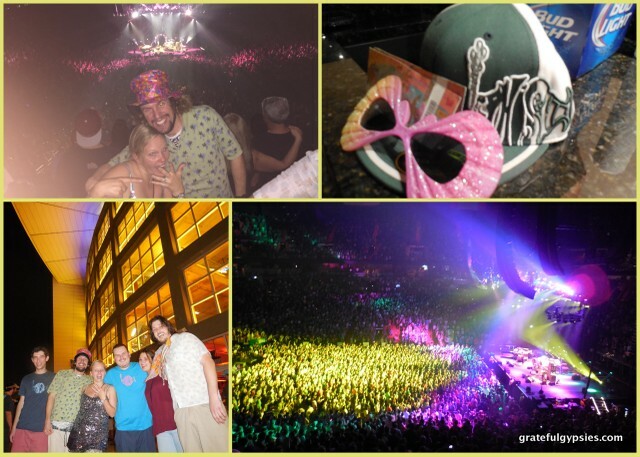 We had a wild four nights seeing Phish in Atlanta, Tuscaloosa, and Nashville doing my first ever southeast run. The shows were great, but the best part was spending time with a bunch of old friends. We miss going to shows and festivals with huge groups of friends, so this was a nice blast from the past and one of the best experiences of the year. Chinese New Year in Yunnan. Without the funds or the energy to pull off a big trip over Chinese New Year, we were stuck in Yunnan with no plans. Thankfully, a friend we had met a few years earlier saved the day and invited us to his village, where we enjoyed two days of eating, drinking, and watching fireworks. 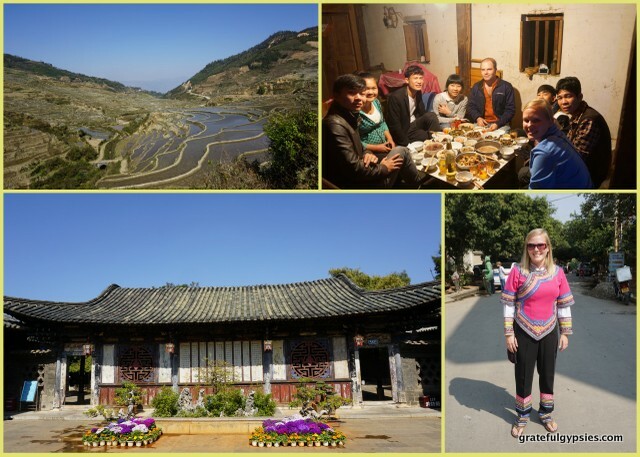 We also spent a few days exploring an ancient town, checked out a neon-lit cave, and walked in the rice terraces to round out a great Yunnan trip. Since we moved to Bali, we figured we might as well go ahead and have another honeymoon here. 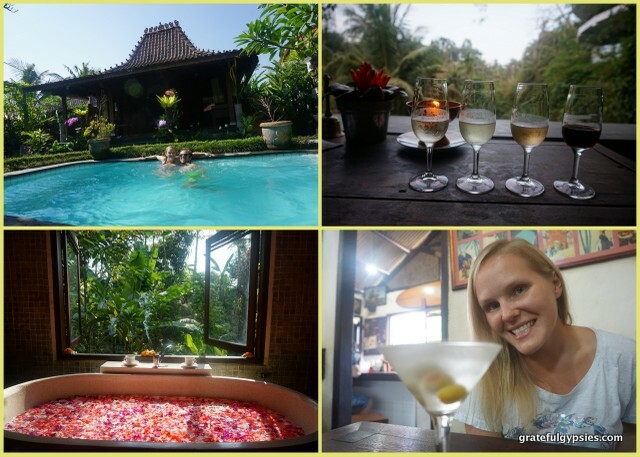 We spent four nights in a beautiful joglo house in Ubud, where we enjoyed a day at the spa, art museums, dance performances, and a few amazing meals. We returned to the cultural center of the island quite a few times throughout the semester for a handful of festivals – the Ubud Reader’s and Writer’s Festival, a celebration of Saraswati (a Hindu holiday), and the first ever Bali World Music Festival. We’ve loved Ubud since we first visited back in 2012, and we’re loving the fact that it’s just up the road now. When we heard that the “core four” members of the Grateful Dead were going to be inviting Trey from Phish to join them to celebrate the band’s 50th anniversary, we just knew we had to be there. 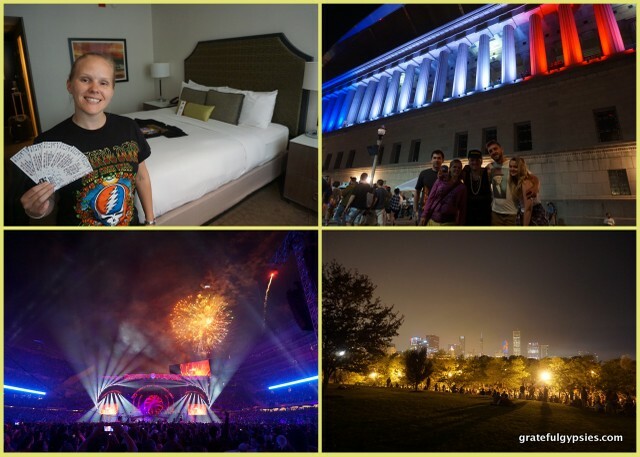 A bit of birthday luck for Rachel helped us land a travel package that came with tickets, so we joined 75,000 other Deadheads in the Windy City over the 4th of July weekend in what was hands down the best musical experience either of us have ever had. 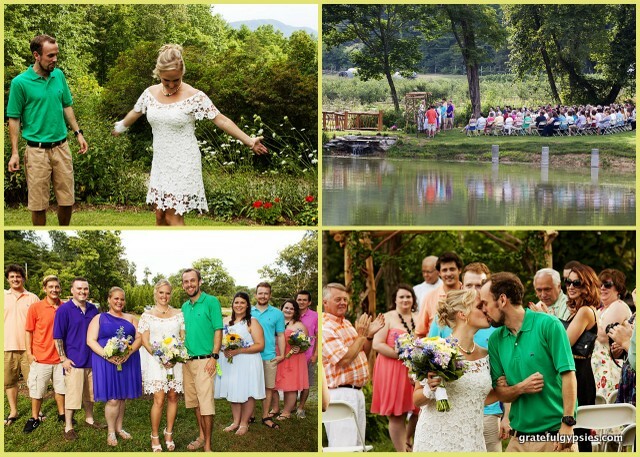 It was a magical weekend, and we’re so happy that we got to be a part of it. Wow… what a year that was! As far as next year goes, things are really up in the air for us at this point. We’ll be in Bali until the end of May, and we’re looking forward to having quite a few visitors in between now and then. We’re also going to the island of Flores for a couple of weeks and will try to hit another one or two Indonesian islands before my program finishes up. The summer is a big question mark now – we’re debating traveling around South Asia, Europe, Central/South America, or maybe applying for working holiday visas down under. After all, our slogan is “Improvise your life,” and we’ll be doing just that in 2016. Glad to have shared time with you in 2015 especially your number 1 time. Really looking forward to visiting Bali. Also more major family time in 2016.